Last weekend I went to a great event at Sephora for a mini Stila makeover and introduction to their expanded collection of eyeliner new for Spring 2014. I have to be completely honest here, I got suckered in by the promise of a free Smudge Stick but the three beautiful looks on the invitation didn't hurt! I walked out with a fresh face, samples of their One Step Correct Primer and new CC Cream, and obviously a few new eyeliners. As soon as I got home I dug into my four In the... Palettes to see what colors I already owned, and now I've got quite a little collection growing. There will be a few more of these events this month so check their events page to see if any are being held in your city. 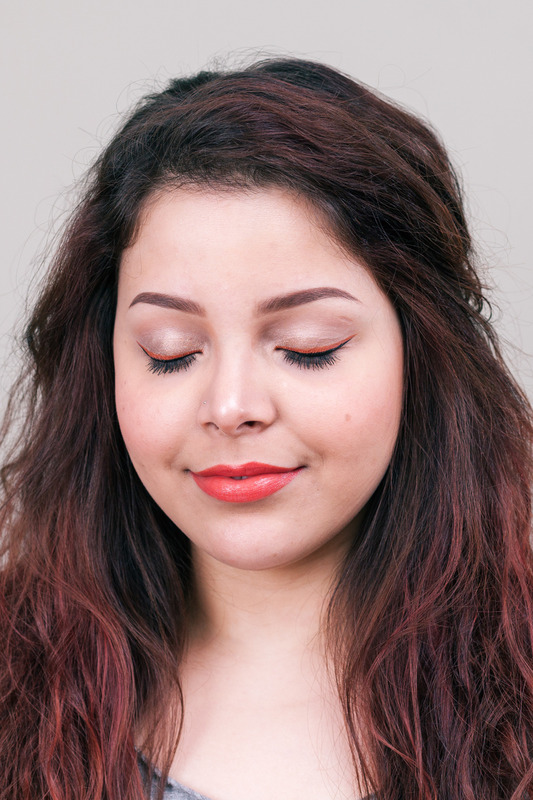 This is such a quick and fun look to do. I knew I had to recreate it and show you how to do it yourselves. 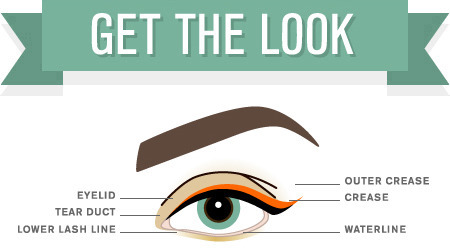 It's as easy as smudging some liner, applying a bit of thick liner, then another finer flick of liner on top. Done! At Sephora the defining line was made using brown but I'm more a black liner kinda gal. It's a little Halloween-y now, right? Oh well! On my lips I'm wearing Bite Beauty's Luminous Crème Lipstick in Cin Cin. Step 1: Pat base (Iced Latte) onto eyelid with finger and blend. Step 2: Apply bronze (Gilded) to eyelid and smudge with finger to crease. 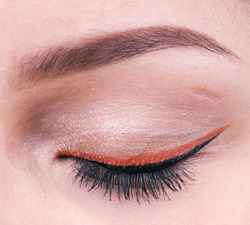 Step 3: Line upper lash line with orange (Amber) — make it thick. Step 4: Apply brown (Eyebrow Powder) to crease for soft definition. Step 5: Line center of lower lash line with bronze eyeliner (Gilded), smudge edges. 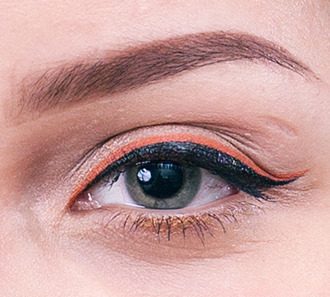 Step 6: Give yourself wings (Intense Black) following the edge of the orange line! I'm definitely going to try the look with Emerald winged out and Melon on the lips. I just need to get myself some more of these liners and a Vinyl Lip Gloss or two! 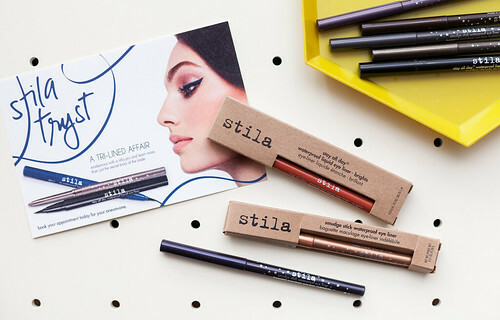 Have you tried any Stila Smudge Sticks or Stay All Day Waterproof Liquid Eyeliners? P.S. There's still time to take advantage of Stila's online sale going on now through tomorrow (3/14). Just use code "SPRING25" for 25% off plus free shipping with no minimum. Don't miss out! I just bought the shade amber! it is so unique, i'm still playing around with how to use it but I love this! Amber is such a great burnt orange, I love it! I'm also pretty excited by Paradise Pink and all of the blues and greens. Basically I want them all. 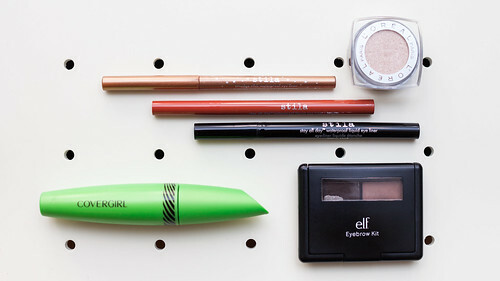 They're such an awesome way to add a pop of color into your looks! Thank you! I'm so boring when it comes to experimenting with my liner. I mean it, I'm a total newbie to the world of pencil eyeliner/doing anything with liquid other than my standard wing. It's fun though! I need to learn some new pencil tricks. Any tips?